Take an eight year-old and put her within 100 yards of cotton candy. This is what happens. Child sees sign for cotton candy. Child begs money from parents, then passes it along the economic food chain. Mouth begins to water as stick begins to fill. Body begins to assume the position for receiving the treat. 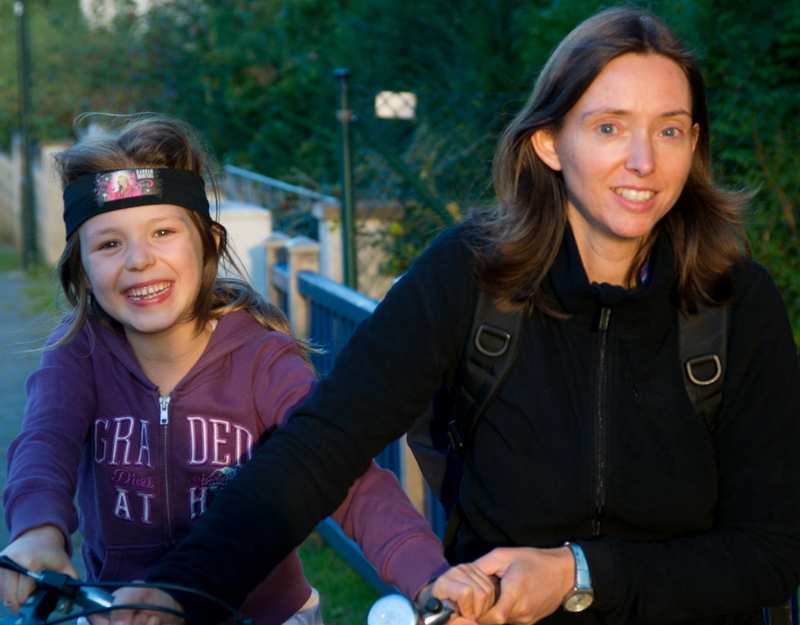 Child's mind sends signal to universe: "Mission accomplished!" 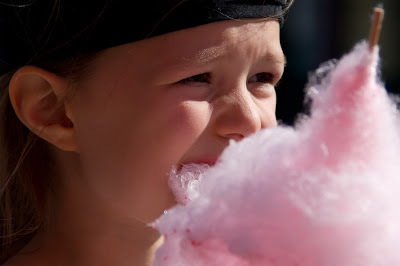 Child enjoys first bite of cotton candy. It tastes like what she had in mind. The second bite tastes like cotton candy and not like cotton candy should. Child eyes potential recipients for remainder of "treat". Child eats one last bite to show brother how good it tastes. Child flies 15 rounds in a helicopter. Father is amazed by the fortitude of daughter's stomach. Daughter gets ride home from Aunt Tanja after complaints of a stomach ache. I love this! And now I really want a pink cotton candy.